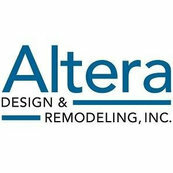 12 Reviews for Altera Design & Remodeling, Inc.
Our master bathroom remodel has now been completed and we are extremely happy with the entire project performed by Altera Design and Remodeling. The project was performed flawlessly from the day the contract was signed until the on time completion and final walk through was made. The in house designer we worked with made our choices for all materials and color selections very easy to choose ; we totally love the new look. The project manager made the entire project flow smoothly without any unexpected surprises. We were particularly impressed with the meticulous workmanship. This work can get messy but it never happened under his direction. Consider Altera far any future similar type project.